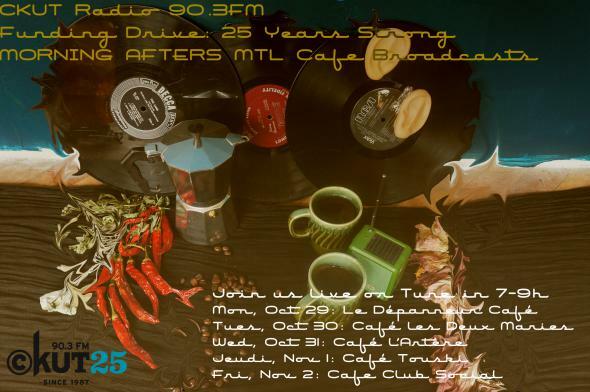 Funding Drive Special: CKUT’s Morning Afters leave the studios and occupy different cafes every morning from 7-9AM. Join us for a cup of coffee, live musicial performances and interviews, and learn a bit about radio at the same time. Tune in regularly to CKUT Morning Afters for arts, culture, news and music, and follow us on twitter @CKUT.